I’ve spent a good deal of my life learning new skills. I have an unending supply of curiosity and a zero capacity for boredom. Two years ago I made a huge decision. I decided it was time for me to fish or cut bait. I could spend my life walking down the stream and tossing the hook in the water knowing I’d never catch a fish…or I could put on the best bait I had, find myself a good, deep hole, sit down and give the fish a chance to find me. Step One: Make a business plan. I jumped into this without a clue how to do it. I had big dreams. A lot of years gaining knowledge. But I knew bumpkiss about business anything. I’d helped Josh with OurHome Studio so I had a little bit of practical knowledge but I was going after bigger fish than anchovies. January 1st, 2015 is the end of my original plan. And I failed. Not monumentally, and not completely my fault but I failed. I intended to have six books in print. By Jan. 1st I will have 4. Not a complete flop but I fell short according to my business plan. The books have good reviews. Each book has launched higher than the book before it. And they have made back most of their investment. That still spells failure to me…according to my business plan. What to do? I considered quitting but I don’t quit easy. I’m stubborn that way. I did gather around me better help. The editing, the cover art, the proofreading all show me that book #3 is way better than book #1. So I learned. My solution, as of January 1st is to create a new business plan. I’ve learned a lot over the last two years. My goals have changed, just a little bit. My vision is clearer than it was two years ago. I’ve taken a few hard knocks. Not enough to knock me out but enough to knock some sense into me. My number one problem is, and will continue to be, visibility. It does me no good to have a product if I can’t get it seen. 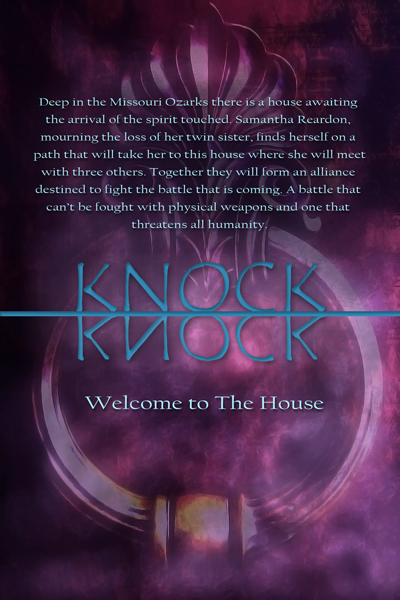 Knock Knock is book #1 of a projected 4 books. Each book will be a stand alone but the characters you are introduced to in Book #1 will be in all 4 books. 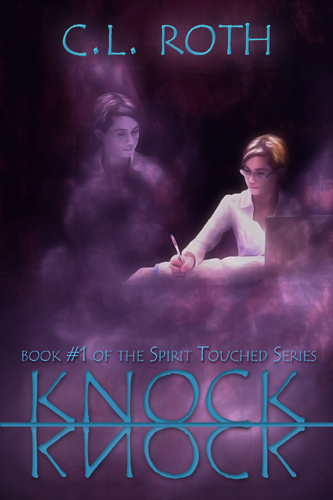 It is a YA Paranormal and probably closer to the kind of books that I will eventually write. I like a bit of eerie in my books, humor always sneaks in, and I want some sense of reality to the weird things that happen.